Since 1989, VIS-A-VIS has gained fame as one of the most elegant haute couture brands in the world of hand embroidered linen. Acquired by Amaury and Veronique Taittinger in 2012, the French family brand continues to develop techniques that enrich each season with refined collections of extreme luxury. Since the acquisition of a Flagship Boutique on two levels in London in 2016, the brand extends its expertise beyond its core business to fine embroidery custom-made sheets, bedcovers, placemats, tablecloths and towels. Its catalogue now reflects a high-end production in the world of home interiors; from furniture to the manufacture of bespoke beds and luxurious loungewear. A symbol of balance and comfort, the round logo of VIS-A-VIS forms the shape of a unified sun and moon, recalling the ancestral sign of Yin and Yang to inspire pure balance in its collections. The brand has developed a lightly graphic, sophisticated and inherently refined identity. 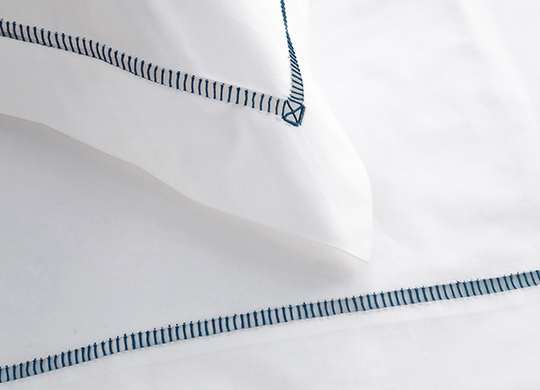 On the embroidered bed linen the stitching most often depicts landscapes in abstract and figurative scenes. Often reduced to their simplest expression, les points form subtle geometric compositions: a scattering of redcurrants across a country house table (Plein Soleil), delicate stems of wild grass (Jardin d'herbes)... The colours are soft, discreet or saturated and sometimes highlighted by gold and silver threads. 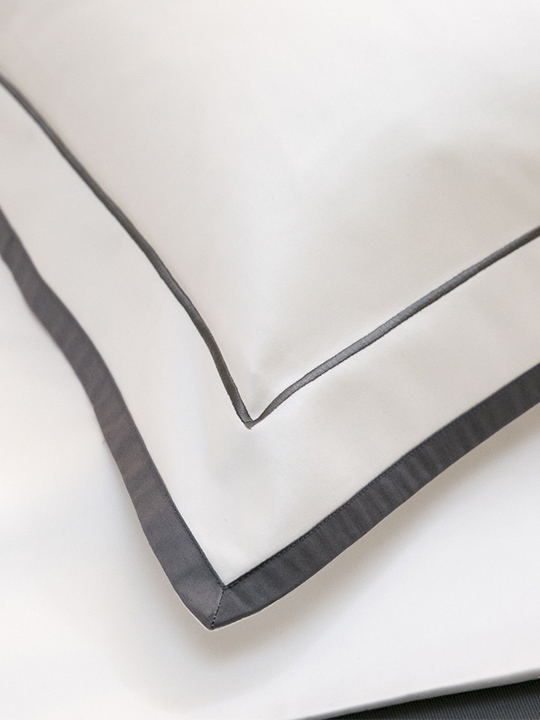 More classic and timeless, bedlinen without embroidery, with or without bands and cords, are distinguished by their sheer simplicity and perfection of their finishes.